I’ve been into supplements since my early 20’s. I’ve just always been intrigued by the possibility of being a better version of myself, via whatever means. 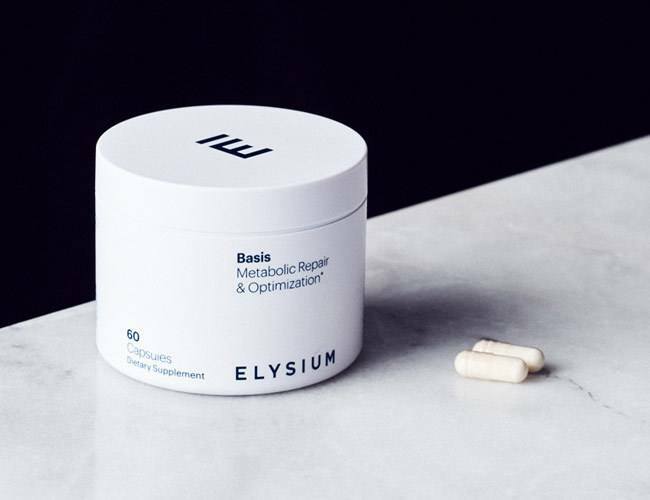 A supplement has emerged recently called ELYSIUM Basis that is generating significant chatter in a few circles, and the reason for that is it’s associated with anti-aging. It’s quite controversial, but it’s backed by a powerhouse of medical professionals from MIT, Harvard, Stanford, Columbia, etc., who are adding legitimacy to the project. The FDA is militant about such things. You basically can’t claim to address specific ailments without going through extraordinary hoops, and the process is extensive. Elysium is nowhere close to that, so all they can do is sell a “supplement”. The pitch is simple: there’s a chemical that is far more plentiful in young people than old people, and BASIC (the name of the supplement) is supposed to significantly increase the amount of that chemical. They did a study on mice and extended their lifespans by 40%, and I believe they’re working on human trials. I’ve been taking it for a few months now, and some pretty crazy things have happened to me since doing so. Most notably, I have had my lower back pain and a really bad, persistent achilles tendon injury pretty much disappear within the last couple of months. But I can’t tie the effect to BASIC directly. I had a break in physical activity for almost three months over the holidays and start of the year due to being sick. Even more significantly, I’ve started taking 5,000 IUs of Vitamin D daily, which is widely considered to be the vitamin to take if you are into supplements. Most people don’t get nearly enough, it’s strongly tied to your immune system health, and my levels were very low when I checked at the end of last year. So my body feels way better. I feel smarter. I feel springy. And it’s great to not have pain when I exercise or go on walks. But Vitamin D is known to be highly associated with immune system health. So what if I had such low Vitamin D levels that my immune system wasn’t able to heal properly? And what if it Basis had nothing to do with the improvement? Or maybe it was the Basis. Or maybe it was some combination, or one or more variables that I haven’t even considered. Either way, I’m continuing to take both right now, and continuing to see benefits. I’ve not the time or patience to conduct an unofficial study where I stop one and then the other and properly record my state at various times. One of my jobs with this site is to bring you interesting ideas, so this is one. Basis might be an anti-aging drug that could extend your life by 40%, which you should start taking as soon as possible. Or it could be complete crap. I’m taking it because it might be something massively powerful, and could have major effects. And the risk seems very low if it does nothing. So if you have my passion for supplements, an interest in anti-aging as a field, and the ability to eat $50/month for an unsubstantiated claim, I’d consider checking it out. BASIS also contains resveratrol, which is supposedly an anti-aging ingredient in red wine.